Hosting a party is lot of fun but it also demands a lot of planning and arrangements, well before in time and when it is a Halloween party, it sure is going to be an ultimate experience, full of enjoyment and excitement. 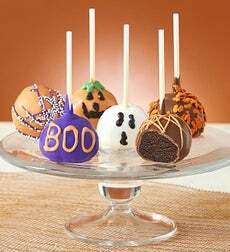 The key to a hit Halloween party is a well-planned theme and organization of events. So let us help you with preparing this year's Halloween party. Decide the venue and date of the party. Decide the party menu and quantity of food. Select games and other entertainment for guests. Music sets the party on fire, so choose appropriate music. Shop at least a week before the party. Sound effects and lighting is an important aspect of Halloween party decorations, whether it's the sound of the flying bats or booing ghosts, sadly mewling cat, screaming witches, screeching door opening or freaking doorbells. A pumpkin pot centerpiece with branches of autumn berries and leaves make a great party decoration. Indoor string lights can create a dim effect and fog machine works best for smoky spooky effect. Halloween tombstones, icky cobwebs, fake body parts, crunching bones underfoot, pumpkin shaped luminaries and stuffed white gloves with green Jell-O peeping out of a plant pot at the entrance are also fun Halloween decorations. You can also hang the famous Jack-o-lanterns in the entire house. Games are the next thing that makes a party hit. Some traditional games associated with Halloween are Apple-Bobbing, in which a tub is filled with water and apples and then the participants have to take an apple out of it with their teeth, avoiding using their hands. Another popular game involves hanging syrup-coated scones by strings and the participants have to eat them without using hands. Another game for kids could be passing a pumpkin round a circle of participants as the music starts and when the music stops, the person who has the pumpkin is declared haunted and punished in a fun way like asked to share a joke or perform a dance. Narrating ghost stories and viewing horror movies are also some popular activities, while you can also enact horror scenes from popular horror stories like Frankenstein and Dracula. Halloween is the time for boisterous merrymaking, being in high spirit and party with friends and neighbors till the wee hours of the night. Halloween party's general theme is spooky and frightening imagery like death, witchcraft, magic, mythical demons and monsters, haunted houses, graveyards etc. Make sure to choose a theme for Halloween costumes so that the guests are dressed up according to your party theme. Some of the themes for the party could be Halloween pumpkin-carving party, Halloween treasure hunt party, Harry Porter Halloween party, Star Wars Halloween party, spooky Halloween party, Halloween hoedown party, Dare to be evil party, fall harvest party, scary movie party etc. Just be creative and you will have some freaky ideas for your party that you would have never imagined!